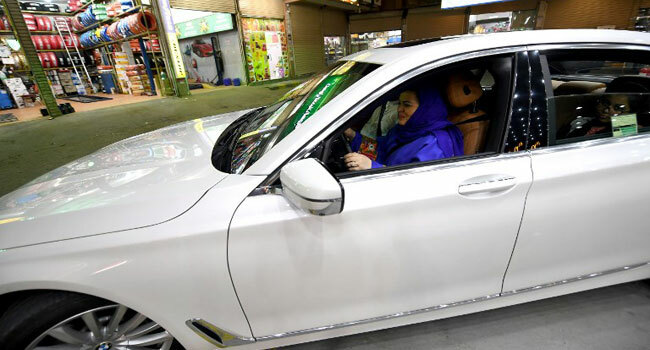 Saudi Arabia allowed women to drive from Sunday, overturning the world’s only ban on female motorists, a historic reform that is expected to usher in a new era of social mobility. The lifting of the ban, which follows a sweeping crackdown on women activists, is part of Crown Prince Mohammed bin Salman’s reform drive to modernise the conservative petrostate. “It is a historic moment for every Saudi woman,” Sabika al-Dosari, a Saudi television presenter who drove minutes after the ban was lifted in the eastern city of Al-Khobar, told AFP. “Those days of waiting long hours for a driver are over,” Hatoun bin Dakhil, a 21-year-old pharmacy student, told AFP. The detainees include three generations of activists, among them 28-year-old Loujain al-Hathloul, also held in 2014 for more than 70 days for attempting to drive from neighbouring United Arab Emirates to Saudi Arabia, and Aziza al-Yousef, a retired professor at Riyadh’s King Saud University. Human Rights Watch this week said the kingdom has arrested two more women activists — Nouf Abdelaziz and Mayaa al-Zahrani, in what it denounced as an “unrelenting crackdown”. Even some of the prince’s ardent supporters have labelled the crackdown a “mistake”. It has been seen as a calculated move both to placate clerics incensed by his modernisation drive and also to send a clear signal to activists that he alone is the arbiter of change.